As a child I used to hate jelly beans, they were big and chewy and I hated the flavors. 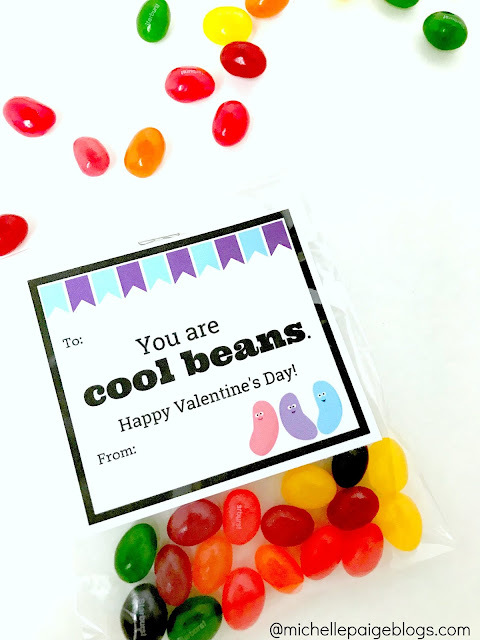 Oh, but now--they've changed! 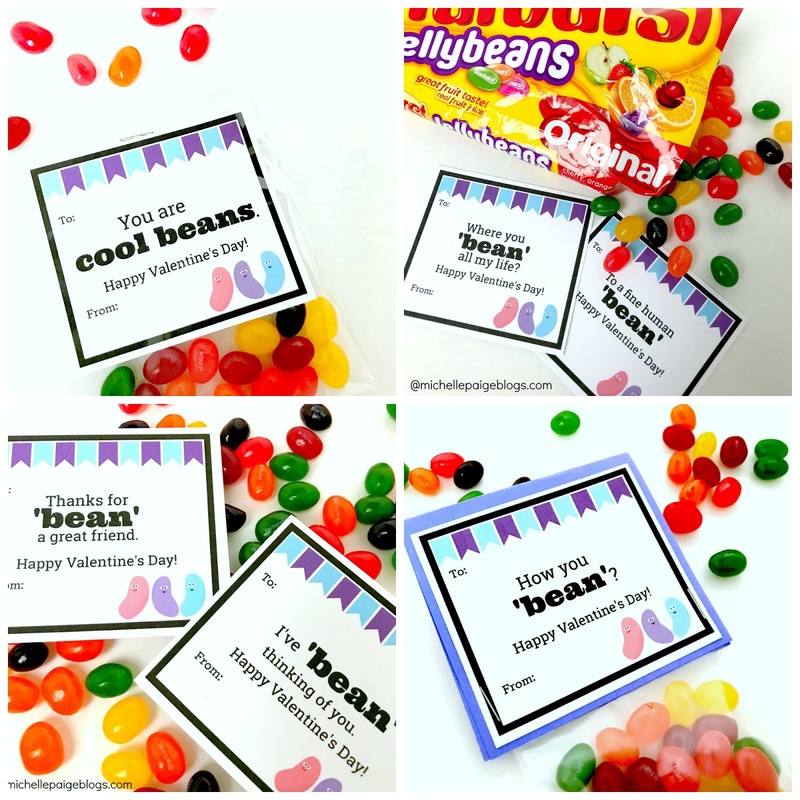 Jelly beans have seriously morphed into sweet goodness gems. 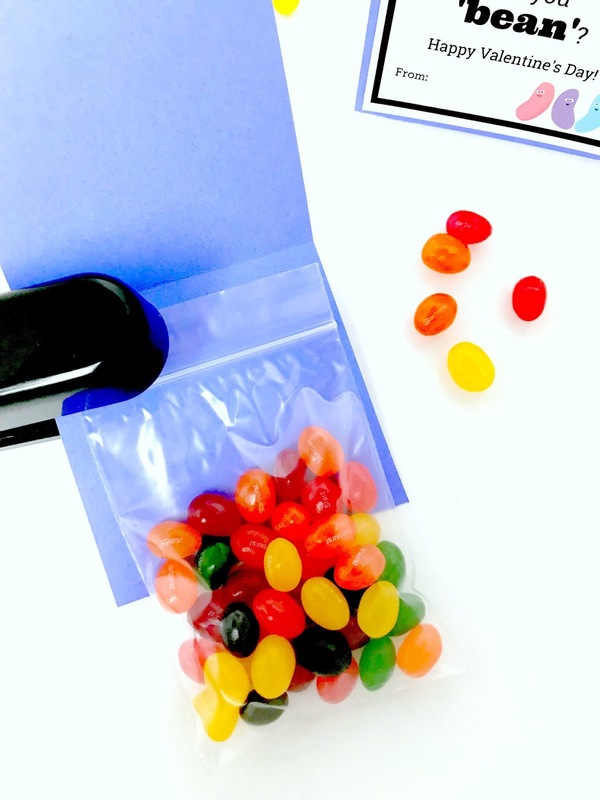 They are now a smaller size with crazy fruity flavors that have drawn me in. 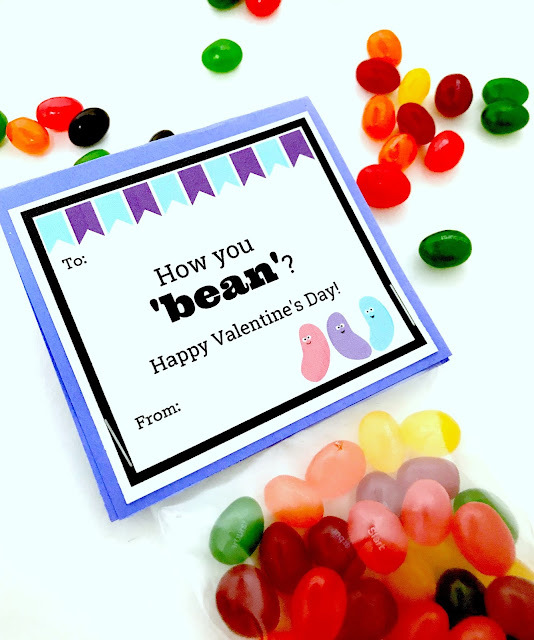 You too? 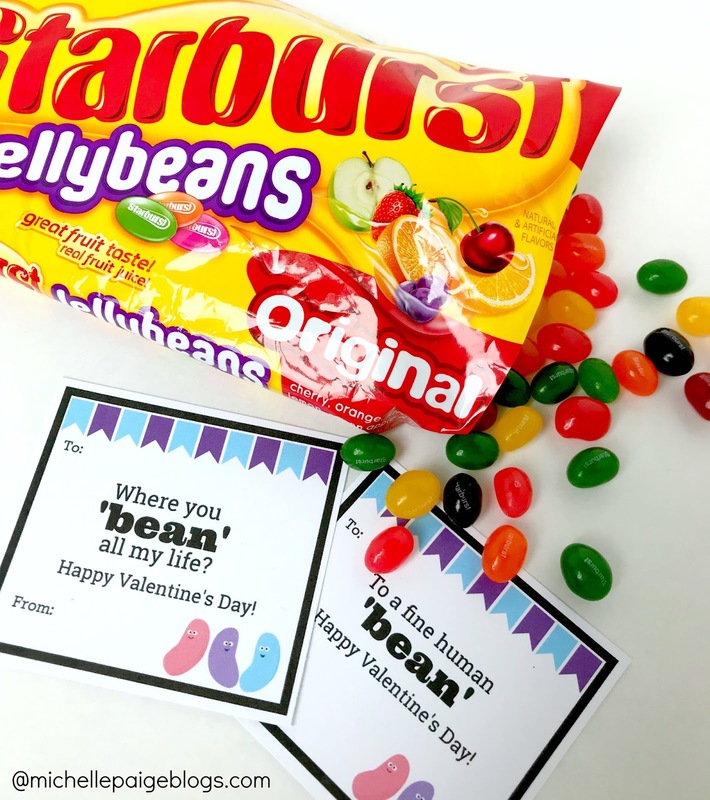 I find it best to stay away from them...but on Valentine's Day...well, that's a different story. 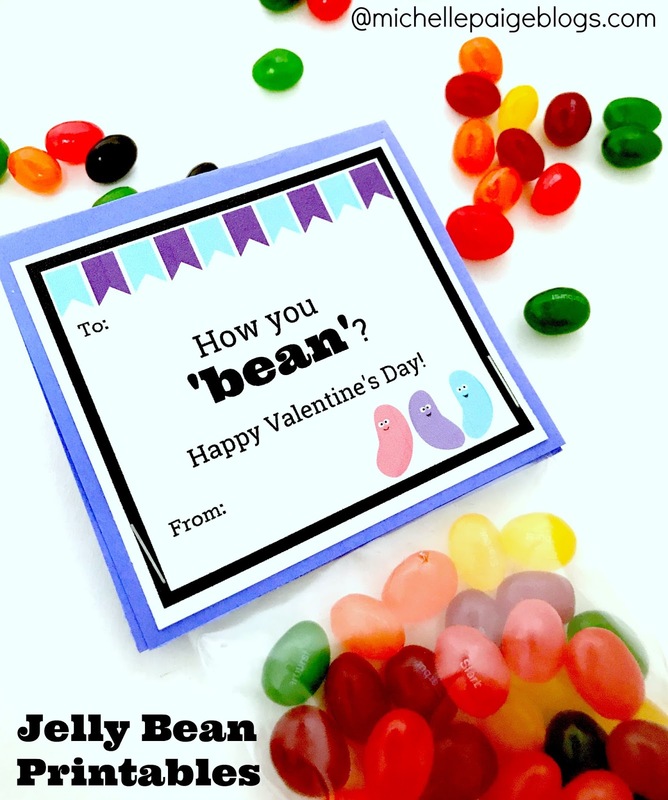 Take a look at these Jellybean Valentines. To make these valentines into tag toppers, cut a piece of colored cardstock double the length of the valentine. Glue valentine to the bottom of the paper. Fold cardstock in half and staple mini recloseable bag (affiliate link) to the inside. 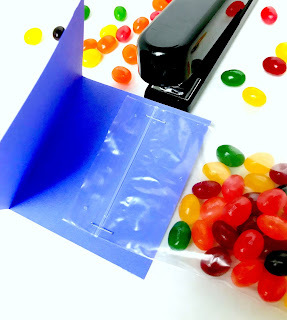 Fold tag over the bag and staple close. 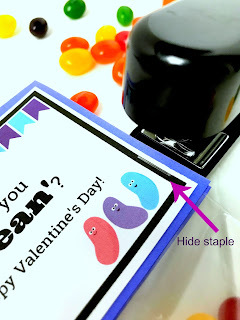 (Place staple on the black frame to hide the staple. 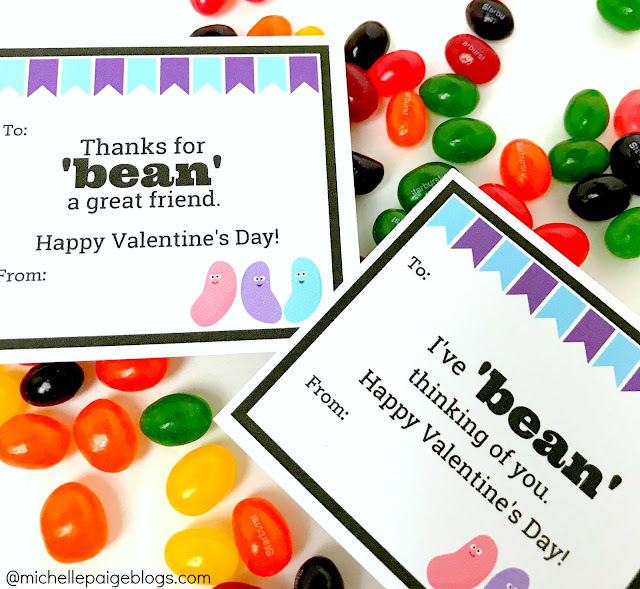 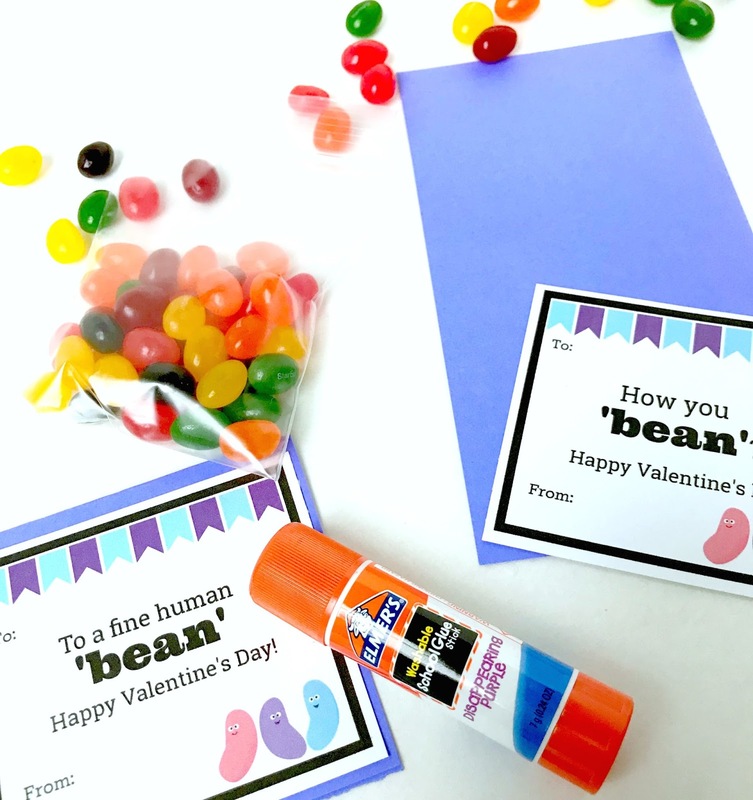 10 Jelly Bean Printable Valentines. Click here to scroll through my Valentine Vault which holds every valentine on the blog.